You know that picture of the 19th century black equestrian? She’s getting a movie! If you’re a person who lives on the side of Diversity-in-History Twitter, then you’ve seen this picture of this enigmatic equestrian over and over again. You’ve probably wondered what her backstory is, what her station was in life, and what she thought of the times she lived in. Lucky for us, she’s getting her own short film! 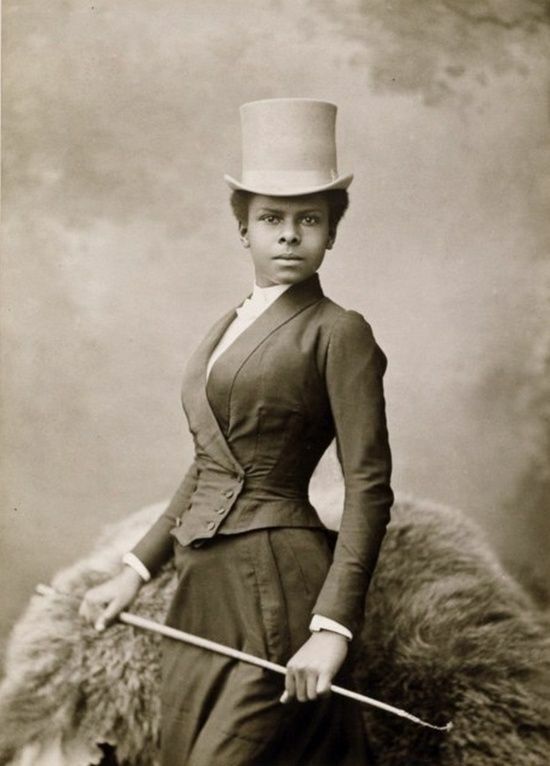 The film, The Adventures of Selika, will tell the story of the woman in the picture, Selika Lazevski, described by Shadow and Act as a “19th century high society equestrian.” Little is known about Lazevksi, but The Adventures of Selika posits that Lazevksi was a “young African princess displaced by war, who was brought up by a noble family in France during the Second Empire (1861-63). Now a young woman, following an unfortunate inciden, Selika is forced from the security and comfort of the life she has known. She sets off for Paris, and determines to forge her own curious and independent path in the world.” French actress and César Award nominated Karidja Touré, best known for her role in the film Girlhood, will play Lazevksi. Luke Elliot and Jennifer Daley also star in the film, adding to the portrayal of a world in which people of color are also a vibrant part of European high society. It seems we’re finally entering a space in which more and more historical films about people of color are being created, and it’s about time, since history never happened in a white vacuum, unlike what history books what lead you to believe. As popular as historical/costume dramas are among a wide set of entertainment fans, including women of color, the genre can now begin to represent all aspects of its audience. Let’s hope some more historical subjects get their own films. Since this is a costume drama, of course there’s going to be tons of pictures featuring gorgeous clothes. Behold, the gallery of awesomeness! Overall, the film looks gorgeous, and really speaks to me on a personal level. As a fan of costume dramas myself, this film looks like the costume drama of my dreams. The Adventures of Selika will be released April 16, which also happens to be Easter, so happy Easter to us! What do you think about this film? Give your opinions in the comments section below!